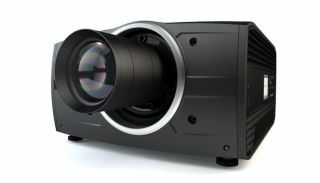 The What: Barco has expanded its F-series projection portfolio for the pro AV market with a rugged laser phosphor model. The F70 projector is designed to deliver long lifetime and reliability for fixed installations, for reduced downtime and maintenance, and thus a lower total cost of ownership. Moreover, it provides constant brightness and color over a longer period of time. The two models launched at ISE offer 4K UHD and WUXGA native resolution and up to 8,000 lumens light output. The F70 will be shipping from Q2 2017 onwards. The What Else: Due to its optical design, the F70 projector delivers sharp, detailed images at 4K UHD resolution, with saturated colors. Moreover, the Constant Light Output (CLOTM) functionality ensures constant brightness and color for a long time span. And through its DLP technology, advanced cooling, and rugged design, the F70 is a reliable projector with a long lifetime. Like in Barco F90 projectors, Barco Pulse processing is at the heart of the F70. In addition to an intuitive user interface, Barco Pulse’s Single Step Processing (SSP) technology enables the F70 projector to achieve 4K Ultra High Definition (UHD) resolution in only one step. So, you benefit from a sharper image and much higher overall image quality with less latency compared to other products on the market. The laser phosphor light source provides a long lifetime of up to 60,000 hours and eliminates the need for lamp replacements. This reduces maintenance significantly and results in considerable cost-savings. Another benefit of the laser phosphor light source is that it enables the F70 projector to run in any orientation, for more installation flexibility. Furthermore, it shares its user interface and FLD and FLD+ lens portfolio with the other Barco F-series projectors, for easier integration.